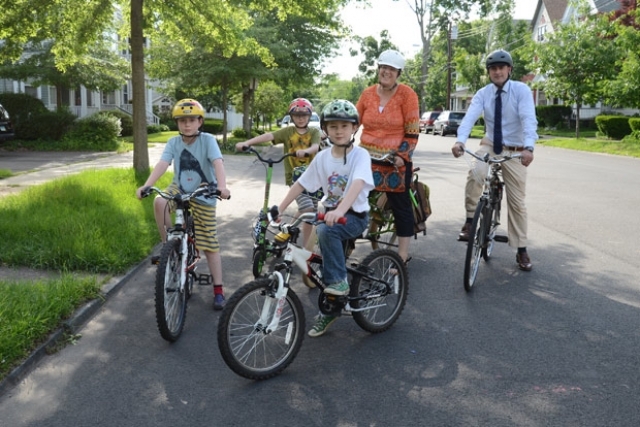 New Haven Living article, "Cycling"
Not to totally self-promote but here is the recently published article in New Haven Living about cycling in New Haven that yes, does include my family. Wondering about this, though-- Cargo bicyclists, do you agree with the author's description that cargo bikes are "an increasingly popular symbol of urban chic"? While I am really thrilled that cycling is being featured in this magazine and that Elm City Cycling and Matt Feiner get the credit they so richly deserve for helping to make New Haven an ever-growing, bike-friendly city, it is hard for me to ignore the glaring editing error of misnaming The Devil's Gear Bike Shop early in the article. The author mostly got my quotations correct. I can say with certainty that I've never actually uttered the words "Moreover" aloud in my everyday speech but we'll go with it. There is an incorrect preschool detail but it doesn't radically change the idea for anyone but me. 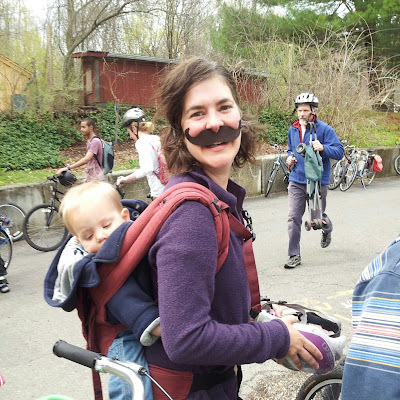 Ultimately happy though that cycling gets more and more attention as folks figure out their transportation needs and desires. 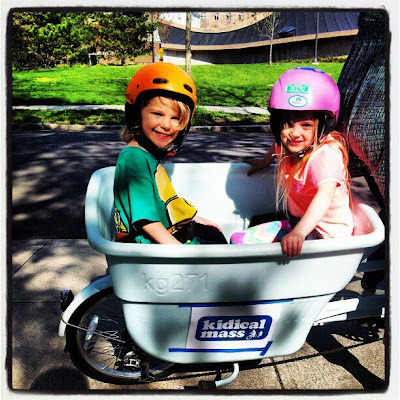 Hoping that more and more people see bicycling as a viable and do-able (even with kids!) option. 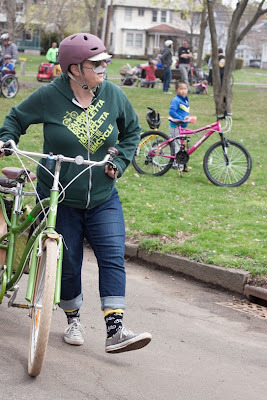 A much overdue post about the annual Rock to Rock ride in New Haven. It's the biggest local group ride and it's been fun to watch its growth over the past years. You can see posts about our participation in past years here, here, and here. I must admit that I am surprised to discover that I never blogged about last year's event even though we had friends from Brooklyn come up and join us. 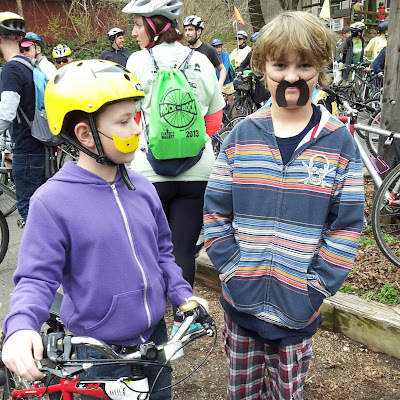 This year was momentous because all three boys rode their own bikes for the entire ride. In the couple of years, we had hauled F on one of our cargo bikes, as well as his bike so he could ride the end himself, but he was ready to take on the whole route this go-around. Bicycling friends, who recently moved to Maine from New Haven, came down for the weekend to hang and participate. 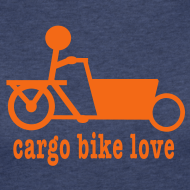 I didn't end up making t-shirts this year but thought we should have some unifying theme going on for our crew. Without any rhyme or reason, I end up settling on making fake mustaches. I merely mentioned it at one point, perhaps inspired by this bicyclist, and F latched on to the idea and wouldn't let it go. So the night before the ride, we sat at the table making fake mustaches. The result was pretty amusing. 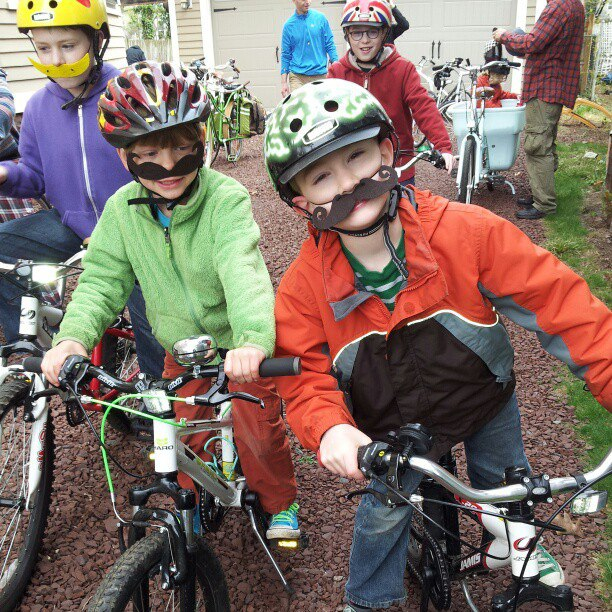 No mustaches here, but had to include this snap of some of the cutest cargo around! Just saw this video today from GristTV. It is simple and captures the spirit of "Hey-- This is do-able and fun!" No need to get into any helmet debates here. Donut break, though? We'll go for that. 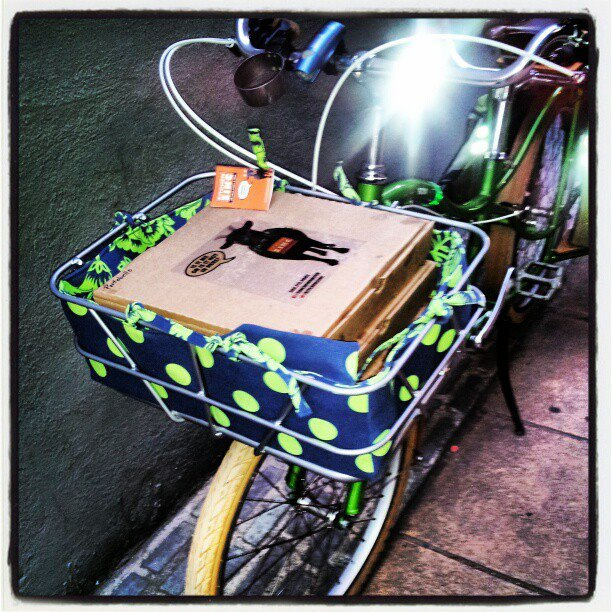 Here's my Yuba Bread Basket on my Boda Boda hooking me up when I picked up pizza at Kitchen ZINC last night. The "Getting Figgy with It" pie is out-of-control: roasted figs, sliced speck, goat cheese, caramelized onions, balsamic reduction and arugula. Yum.